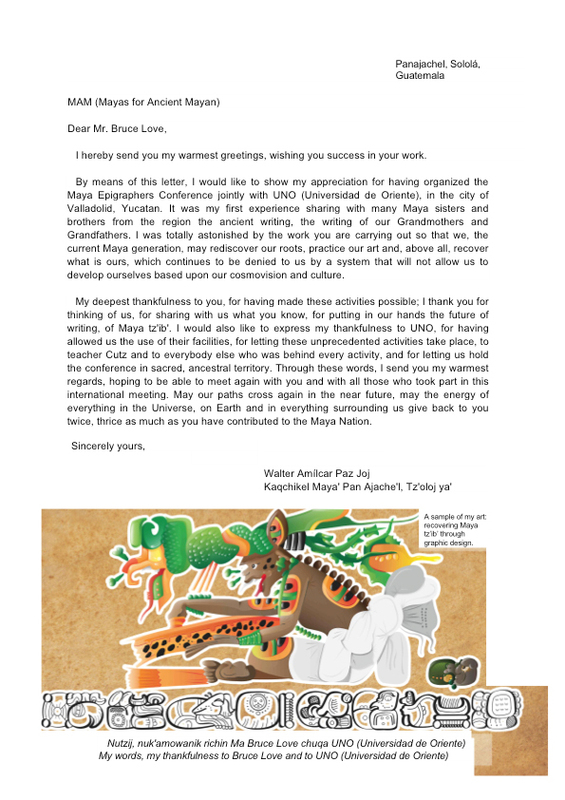 Shortly after the 2012 Congress of Maya Epigraphers in Valladolid, Yucatan, I received this beautiful letter of appreciation from Walter Paz, Maya Kaqchikel. Although it is directed to me, I receive it in your names, all of you who support our work. This is for you. You glyphers will enjoy sounding out the Kaqchikel syllables of the glyph text across the bottom of the page.